It’s going to be quite a summer here at the Ministry! The release of The Mystery of Emerald Flame has already made it exciting, but we’re not done with the adventures. We here at the Ministry are excited to be part of this amazing steampunk bundle, and our entry into it, The Books and Braun Dossier, is launching first into this bundle. It contains all of the stories written by our journalists, Ballantine and Morris, and weighs in at over 78,000 words. My what seven years of writing can do! This is the first time all these stories have been gathered together in an anthology. But that’s not all. 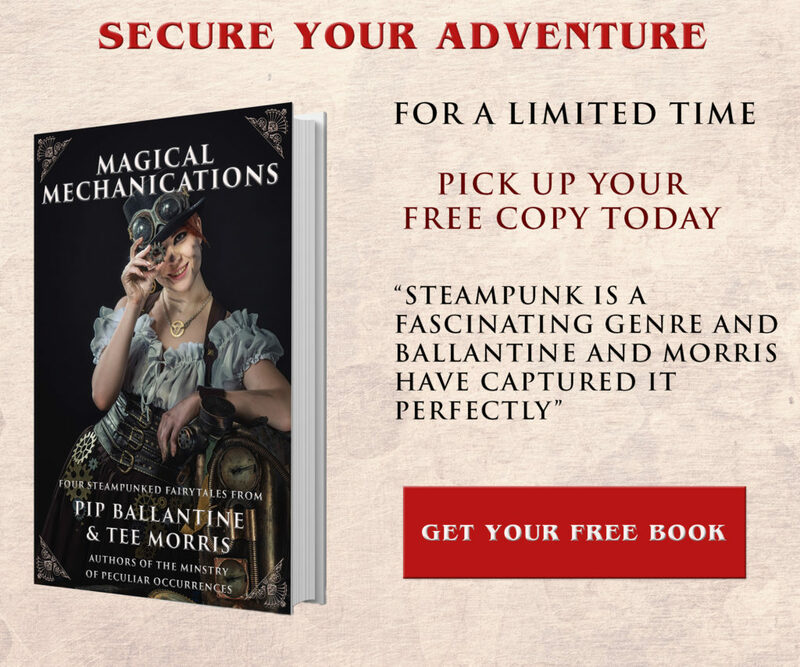 In addition to our tales, this collection some top names in Steampunk fiction, like USA Today bestsellers Jeannie Lin, Christine Pope, and SM Blooding write in a variety of genres, but bring their storytelling skills to the genre. And rounding out the bundle, you’ll find indie favorites A.W. 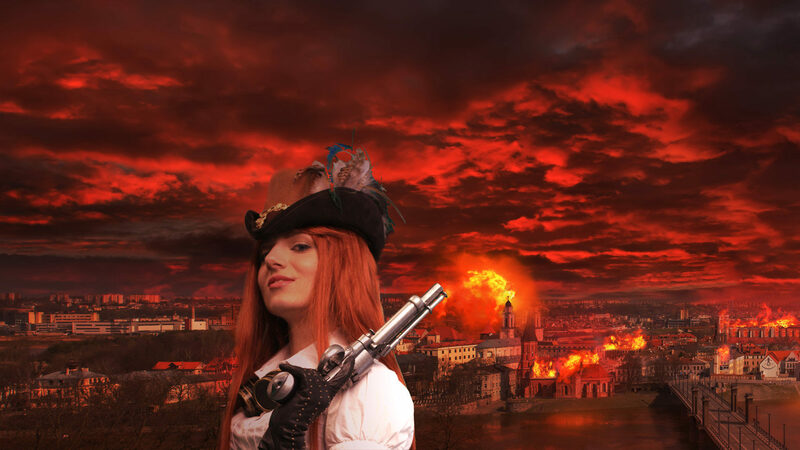 Exley, Sara C. Roethle, and Joseph Lewis, for a cornucopia of Steampunk stories exploring several sub-niches of the genre. Feast your eyes on all this steampunk glory! In addition to alchemists, automatons, and airship aviators, you’ll find the Chinese Ministry of Science, a sacrificial mermaid beset by pirates, the queen ruling from a gear-filled city in the clouds, a gothic castle in Romania, and Victorians in space. 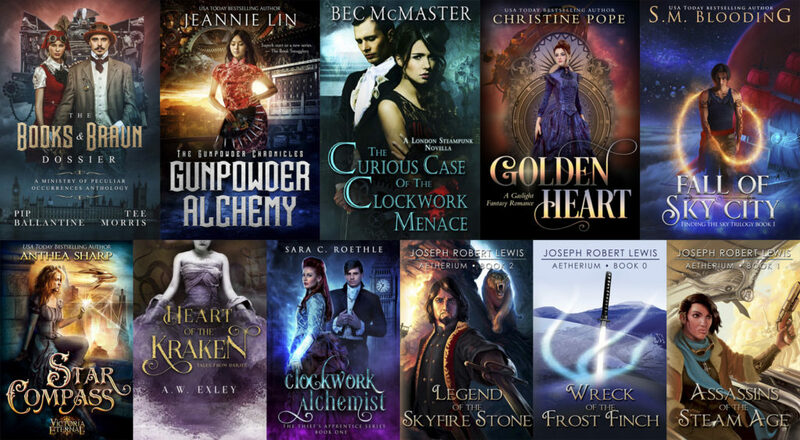 Packed with USA Today bestsellers and award-winning authors, the Steampunk StoryBundle also features three exclusives! That’s fully one third of this collection that can be found nowhere else. So why would you dilly dally? As a special thanks for being a newsletter subscriber, two more books are included, Wreck of the Frost Finch – Aetherium Book 0 by Joseph Robert Lewis and Assassins of the Steam Age – Aetherium Book 1 by Joseph Robert Lewis for FREE during the life of the bundle. You just need to be a StoryBundle newsletter subscriber. If you’re not yet already receiving their emails about new bundles, you can sign up any time until July 5 and get a copy of these two books! But what is StoryBundle we hear you ask? Well here are just a few benefits StoryBundle provides. Sounds wonderful, and a great way to save more than a few pennies! For more information, visit their website at storybundle.com, tweet them at @storybundle and like them on Facebook.